This beautiful Infinity Instruments Metal Wall Clock is a must-have for any cat lover. 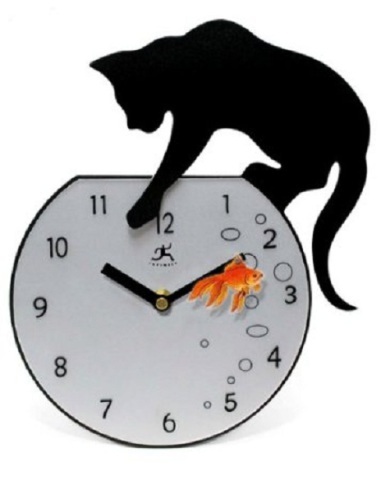 Fun and quirky, yet elegant enough to match even sophisticated decor, this clock will keep you smiling as the silhouette cat chases the bright orange goldfish in its bubbly fishbowl. To order this adorable timepiece, click here.